Two days ago I wrote about Twitter Bootstrap (TB) and how to integrate it into an XPages application. I got a few responses and by what people are saying I reckon responsive design is an issue in the community. So here is part 2 of my series. Today I want to show you how to integrate Twitter Bootstrap into your database and how to create a first responsive layout. Let’s go then. In my first post I had a link to the current TB sources. Download a copy if you have not done it yet and unpack the zip. We create a new database and open it in DDE. If you have not already added the Package Explorer to your XPages perspective do it now. Open the database in the Package Explorer view and navigate to „WebContent“. Create 3 folders named „js“, „css“ and „img“. Now take your System Explorer and copy the files to the directories as shown in the screenshot. 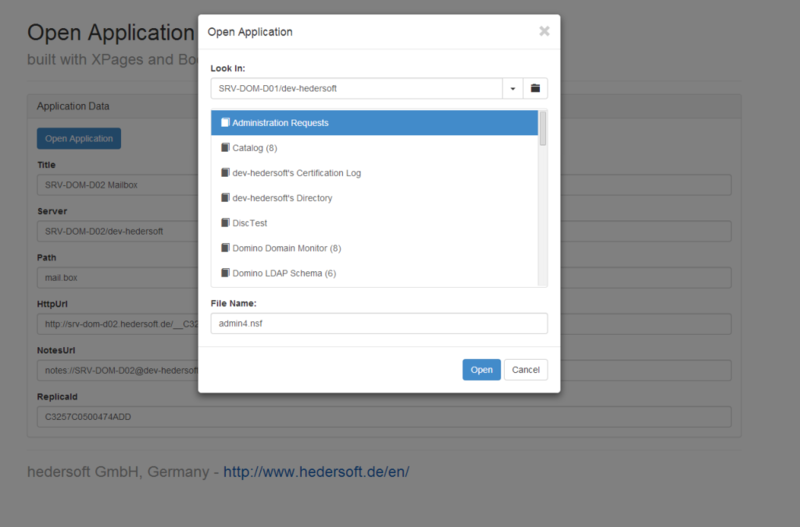 Move back to the database view and open the application properties. Click the XPages tab and set the values as shown in the next screenshot. Twitter Bootstrap requires the HTML 5 doctype as you can see in the documentation. We disable the CSS and JS minimize settings so that we are able to use Firebug & Co. properly later on. In a production environment you may tick the box to minimize source code. You might as well use the already minimized sources from TB. Feel free to copy the code and use it for whatever purpose you want. I just want to point out some crucial elements. First of all we need the stylesheets on our page which we include as resources. I used the responsive css to make my site responsive. I added the viewport meta tag as demanded by Bootstrap. I added my own stylesheet „hedersoft.css“ to do some adjustments. It currently only holds one element. As you can see I used the @media tag to tell the .subhead class that it only applies if the width of the page is at least 980px. It’s not a beauty yet but it shows what Twitter Bootstrap can do for you without having to code all the css yourself. This being said I close the 2nd part of my series and hope it may be of any help to start your project. In the next part I dig a little deeper into the Bootstrap soil to make the page look a little better and to show you some elements you might want to use in your application. In my current project I am developing an XPages application which is supposed to run in a web browser as well as on mobile devices. So before I started coding I had to make some decisions. Do I want to create different pages for different devices or is it better to create a responsive layout that takes the work to resize my pages? So I did some research and finally decided to try a responsive layout. Wait a minute, you haven’t heard of responsive web design yet? the I suggest to check out wikipedia for a start. Once I decided to give responsive design a try I had the choice between many free toolboxes out there. Netmagazine lists 50 helpful tools and there are many more sites dealing with this topic. So after some time I picked Twitter Bootstrap (TB), because it seems to be very sophisticated and has been used in quite a few high level projects around the globe. 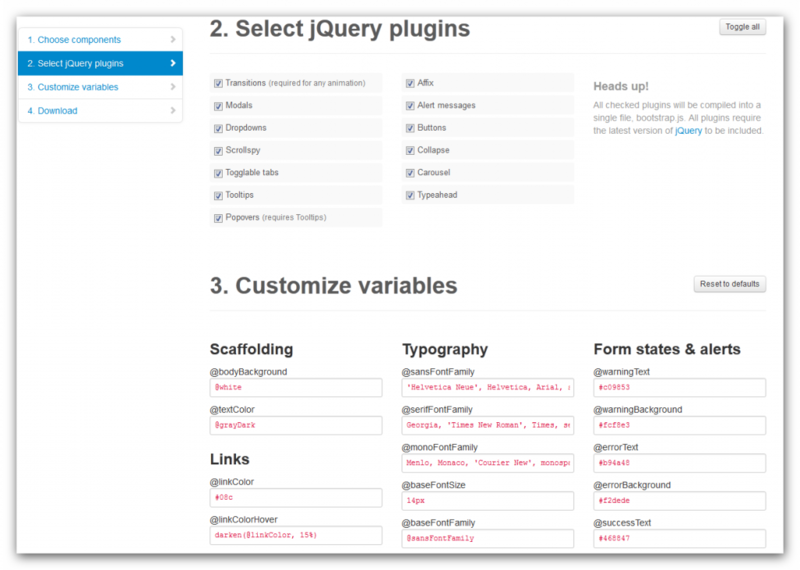 Twitter Bootstrap comes with a lot of features you can select from. Either take all or reduce the footprint of your Bootstrap to your needs. 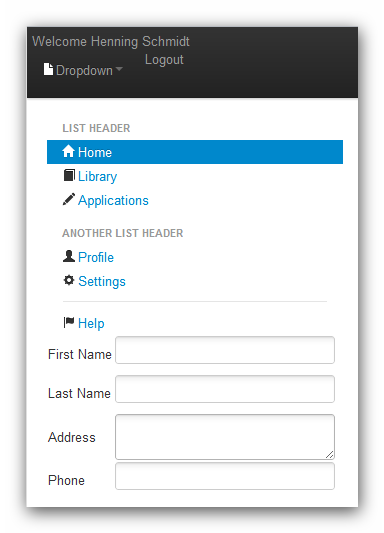 Today I want to show you how to download and customize Twitter Bootstrap. In the next days I am going to talk about how to use it in your XPages applications to create a responsive design. As you can see some features are available as XPages controls so you might not need them. The standard CSS looks like the Twitter pages which might not be the design you are preferring. That is not a problem at all since Twitter Bootstrap is customizable. Select the modules you would like to have in your js and css files and adjust the colors to your needs. Once done you can download a ready to use Twitter Bootstrap that is small and fits into your application. TB uses jQuery so I recommend reading Mark Roden’s awesome series about using jQuery in XPages. This little introduction is the start of a series about XPages and Twitter Bootstrap. 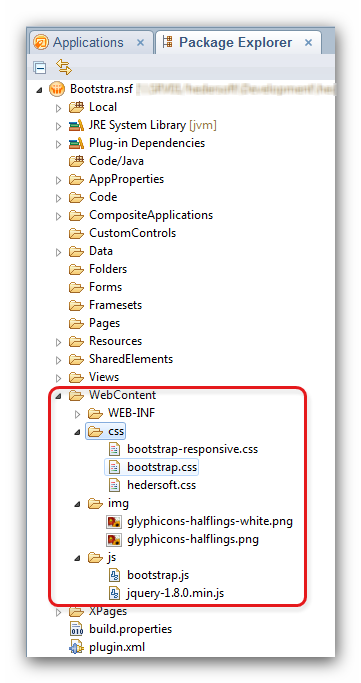 In my next post I will show you how to integrate TB into your XPages application and build a first responsive layout.